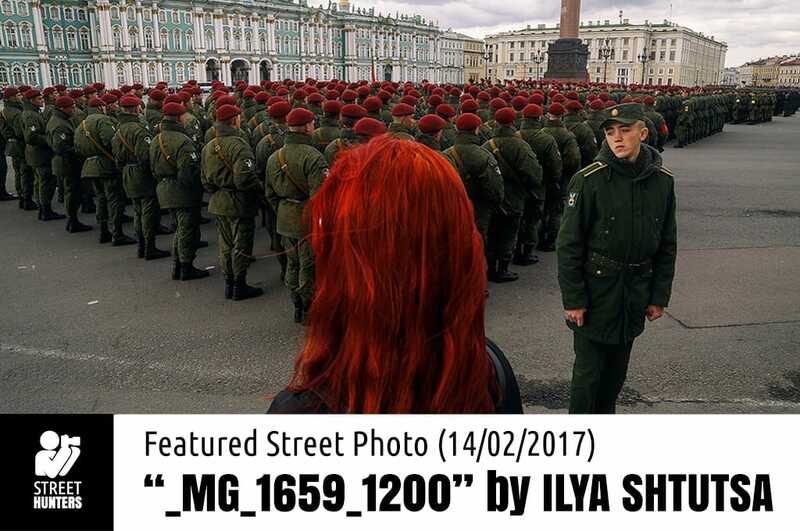 You can see more of Ilya Shtutsa’s photography on his Flickr at https://www.flickr.com/photos/krysolove/ and also on his page on the Observe collective website at http://www.observecollective.com/Ilya-Shtutsa. I am sure that nobody really needs me to explain why this image is so stunning. Ilya’s lens has managed to capture an amazing moment. He is positioned where a whole company of red beret soldiers are lined up looking away from him and right there in front of them all (or behind them all depending on your perspective) a girl stands looking at them. 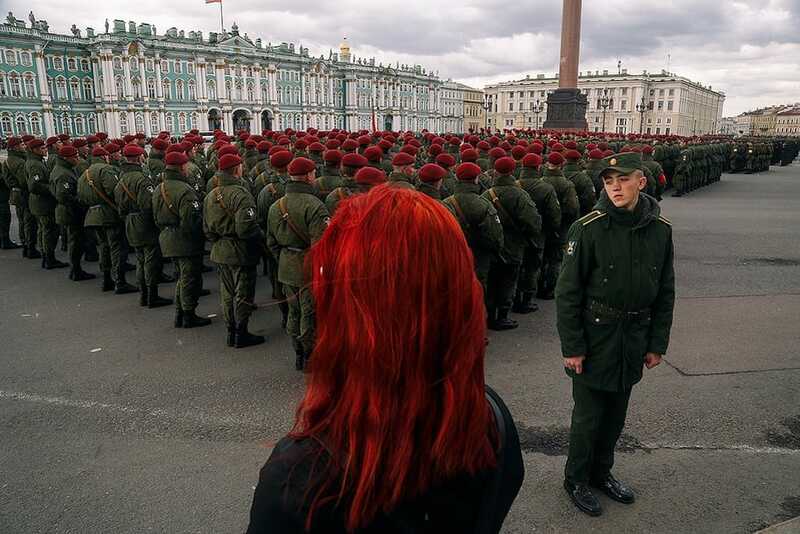 A girl with red hair, similar in colour to their berets. But that isn’t what makes this image truly special. Her exact position is what makes the difference between a great shot and a fantastic shot because she is standing at the edge of the company and it seems as if her head is marking the point where it all begins, or ends, again depending on your perspective. However, no picture becomes truly amazing without its own little “imperfections” in my opinion, and this is where the importance of the officer looking back towards the photographer is noticed. Breaking the monotony of the perfectly aligned company of men, looking the other way compared to everyone else, his is the only face that is visible amongst the hundreds of people that are in this scene, making us feel as if he is the only real live person there, where in reality he isn’t. An amazing photograph. As you know, every so often we feature a photograph of a Street Photographer on our website. The Street Photographer that is featured is selected by the Street Hunters team.